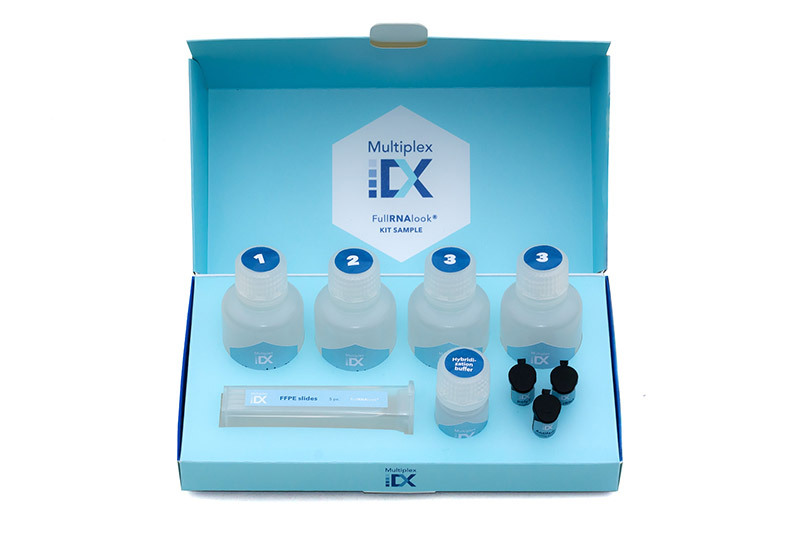 Compared to current standard RNA FISH protocols our FullRNAlook is simple, fast and highly reliable and reproducible. Cancer specimens were examined for rRNA (in red) and poly(A) RNA (in green). RNA fluorescence ratios in the samples are very distinct (greenish (poly(A) high) for Patient A, orange (poly(A) low) for Patient B), providing molecular classification better correlating with prognosis. 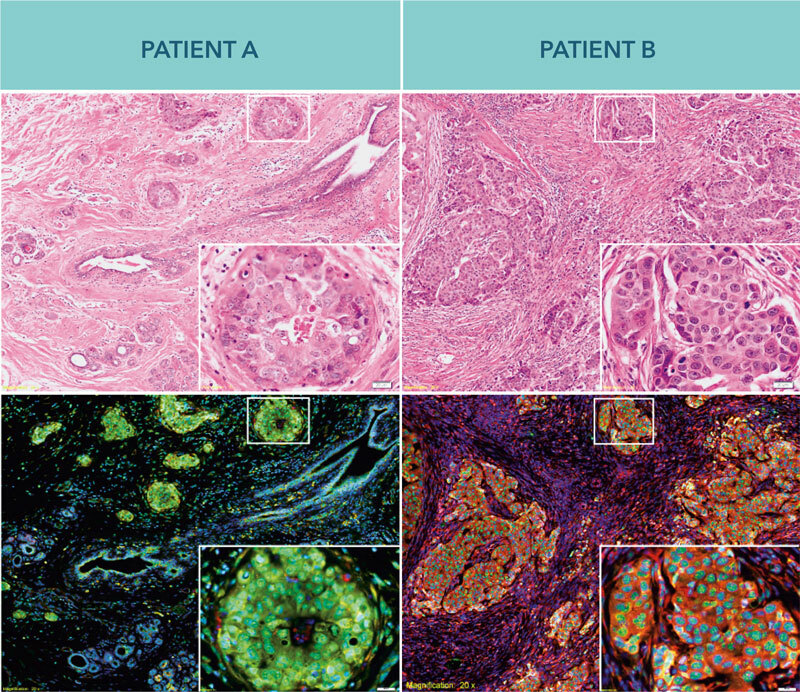 Greenish color indicating higher tumor malignancy corroborates with clinical outcome of Patient A, who went on to develop distant metastasis compared to free-metastatic Patient B. However, both specimens were similar according to H&E and IHC. In the end, Patient A died due to misdiagnosis and mistreatment. Using our technology, the misdiagnosis would be avoided.